It’s always the same, but every time it’s a surprise. 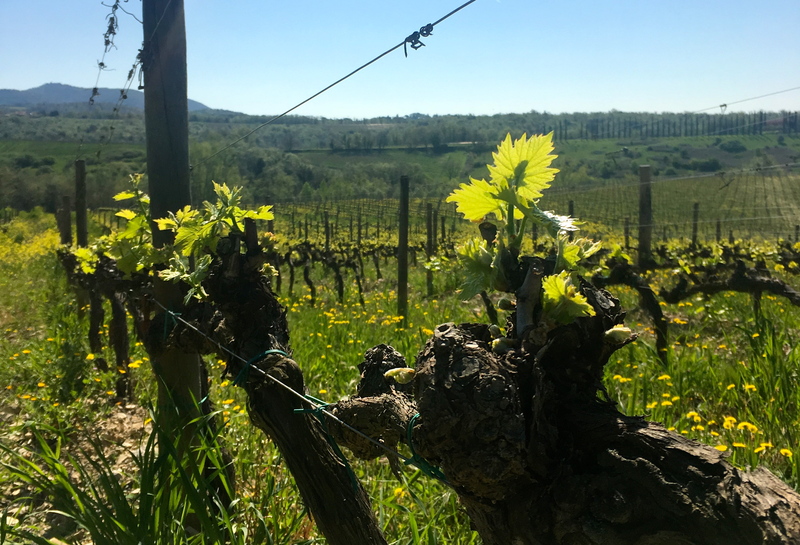 We leave for Vinitaly on a Saturday, return Wednesday evening, and in the meantime, little leaves have appeared in the vineyards. 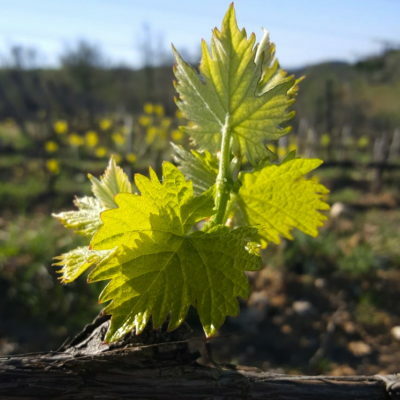 Every year this makes us smile because we always marvel how even though the dates of Vinitaly change, it seems almost as if the grapevines want to give us a little welcome-back present when we return. We like to think that’s true. As a matter of fact, the last day of rain was 13 April, the day before we left for Verona. Water has not been lacking this year, unlike last year, and we had to wait until the end of this month to see any real increase in the temperatures. 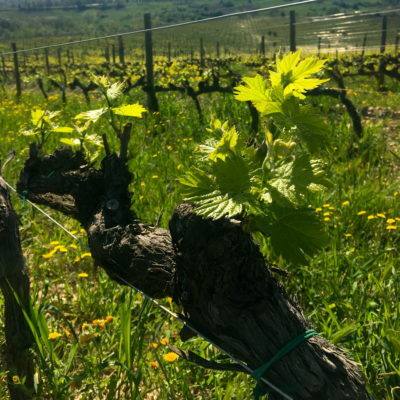 The snow and cold of February and March pushed back the beginning of spring, but now the vines have stirred from their winter rest and expressed their energy with delicate little leaves. As always, our beloved Sangiovese is the first variety to awaken. 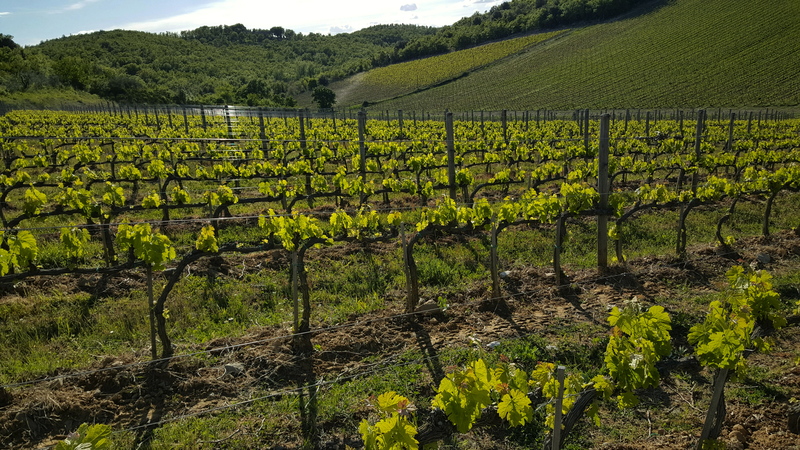 In the countryside here there is a saying often repeated, that the Sangiovese is the first to depart but the last to arrive, which means that it is harvested after the others. But beyond all that, walking in the vineyards in these days is like taking part in a pageant. Green is the most noticeable color; it is all around us everywhere, taking the place of the brown tones, filling our eyes with a sense of infinite quietude. To protect and defend all this beauty, the installation of the ultrasonic dissuaders has been completed, as every year in this period. Our virtual sentinels have been located in many strategic points but with the greatest respect for the marvelous panorama. 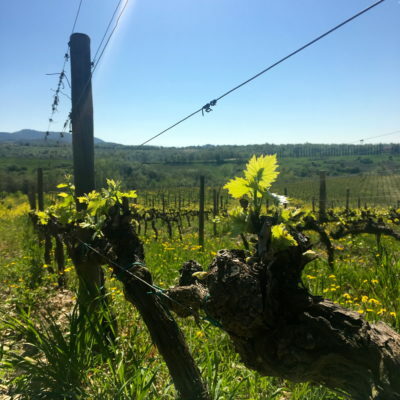 You will remember a post of some time back relating the great, very great work that companies – Ricasoli first among them – have to continually carry out to protect their vineyards from ungulates. This is a good time to go back and read what we wrote last November and consider once again all the energy that can be squandered in our immense work.